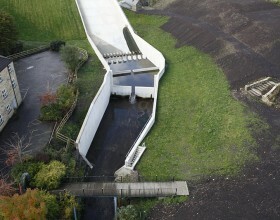 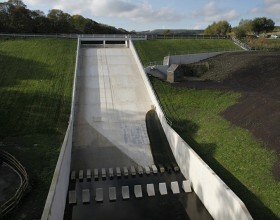 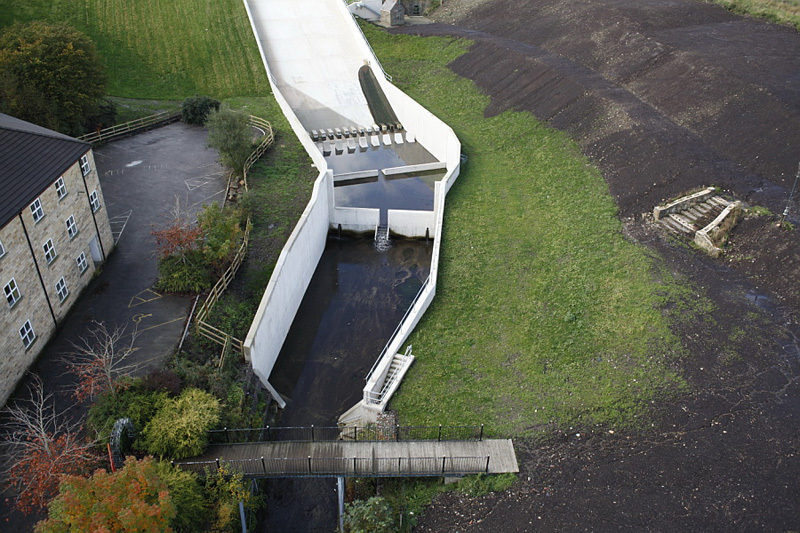 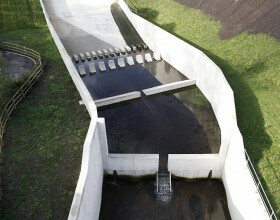 Flood studies and physical model tests demonstrated that the existing overflow and spillway facilities at the Holden Wood Impounding Reservoir were unable to pass the Probable Maximum Flood (PMF) without overtopping onto the main earth embankment with a consequent risk of failure due to the destructive action of out-of-channel flows. 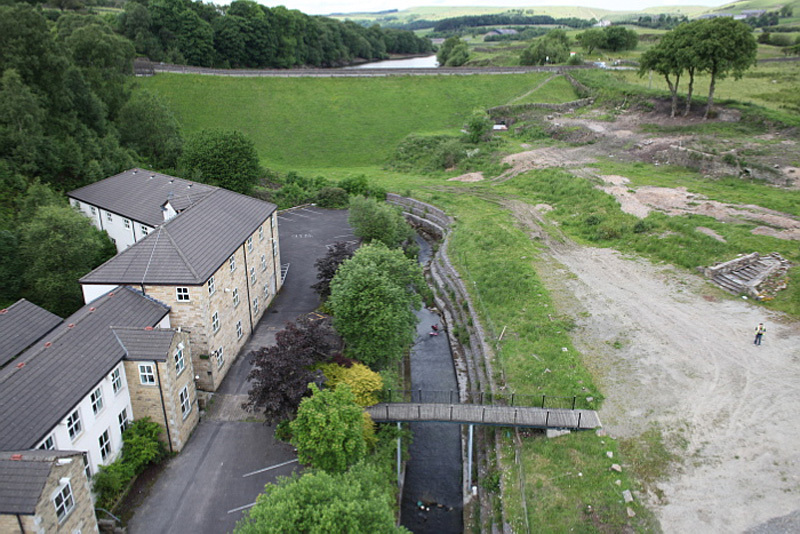 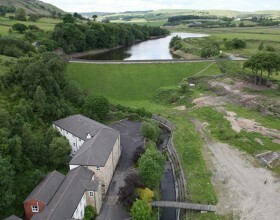 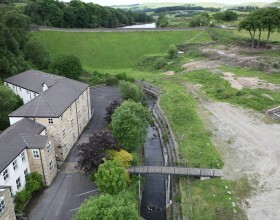 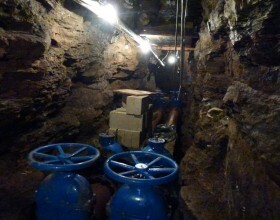 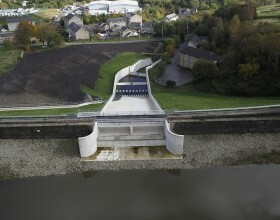 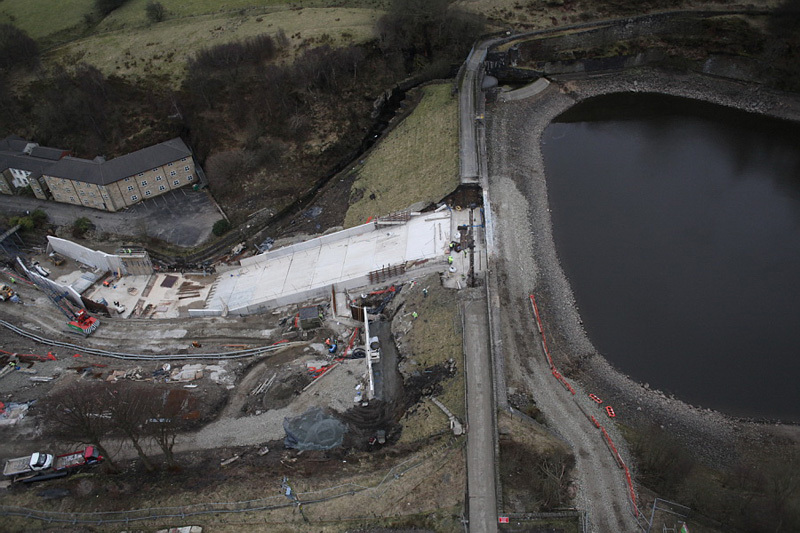 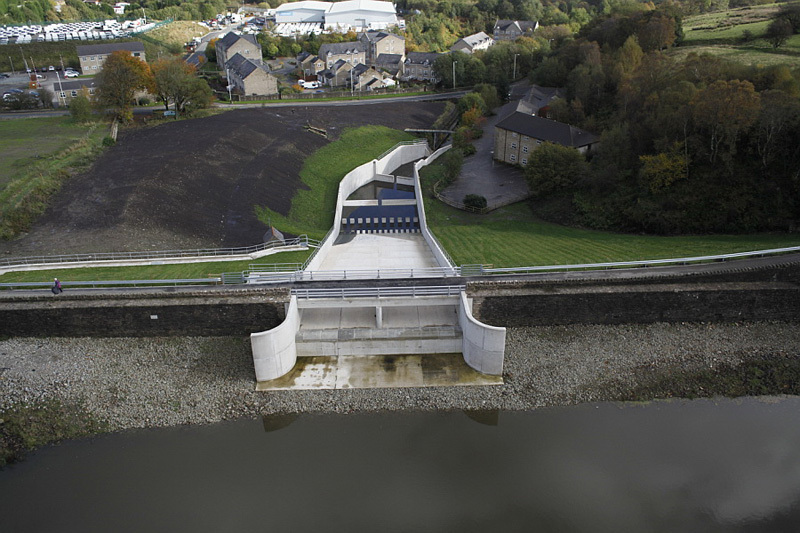 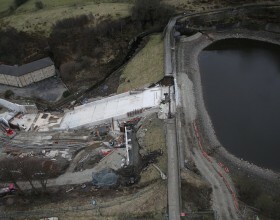 To reduce the probability of failure temporary flood attenuation measures were provided within the Grane Valley cascade by operating the reservoir at reduced water levels – complying with the Dam Inspecting Engineers requirements ‘In the Interests of Safety’ (ITIOS). 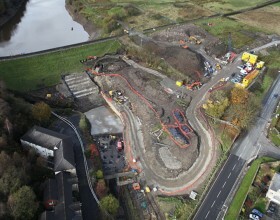 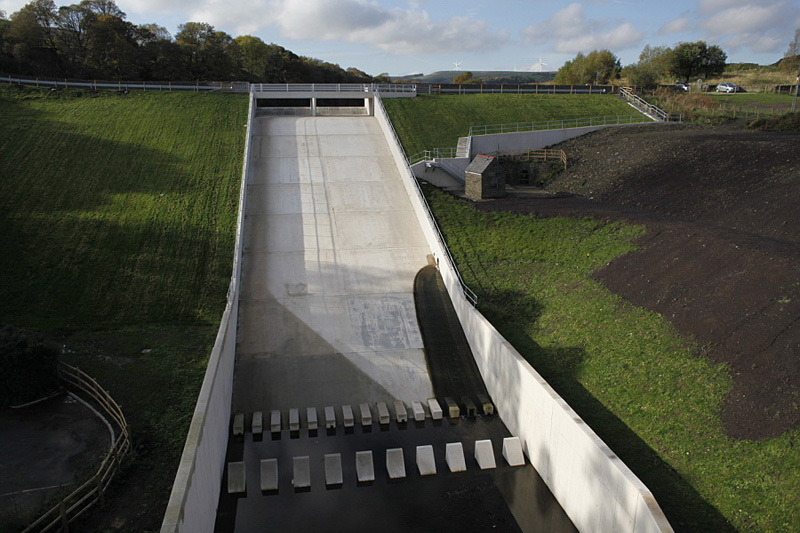 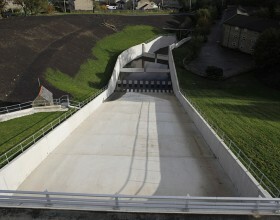 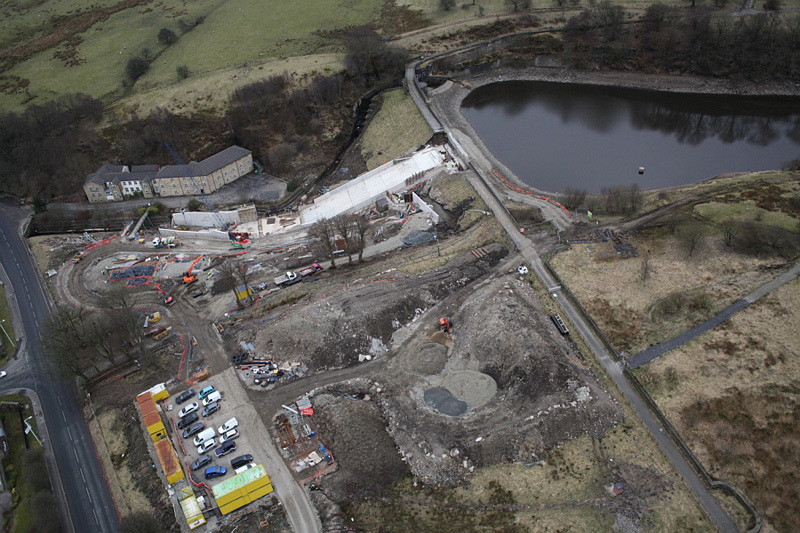 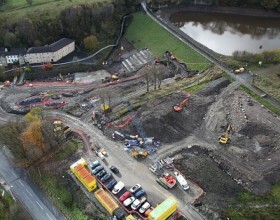 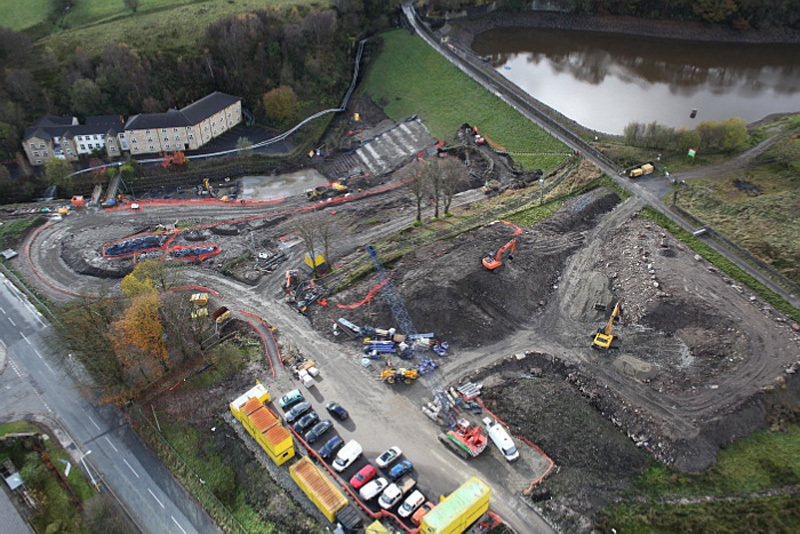 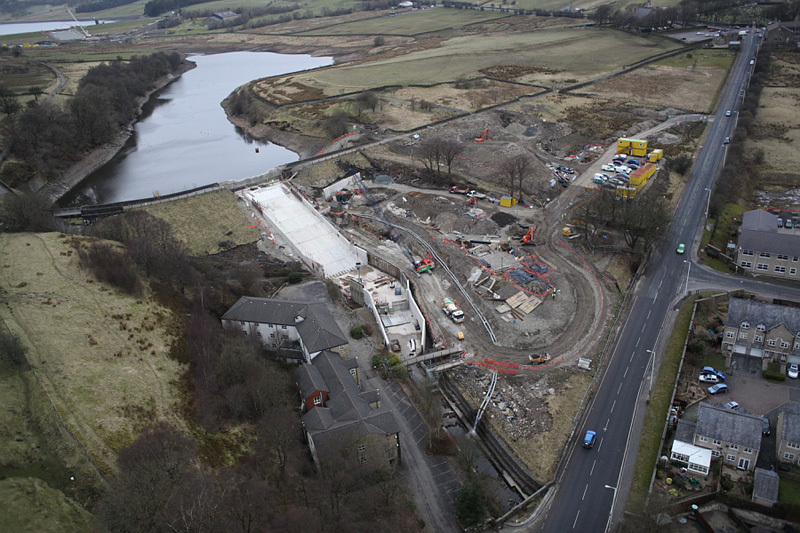 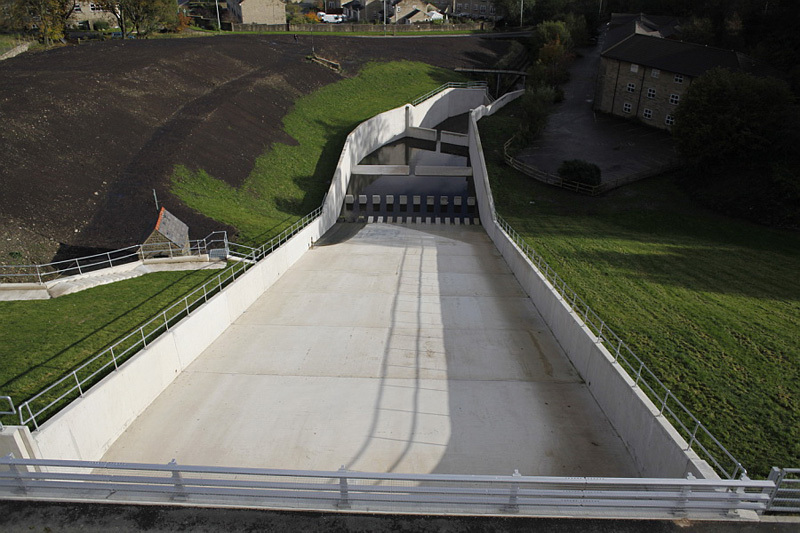 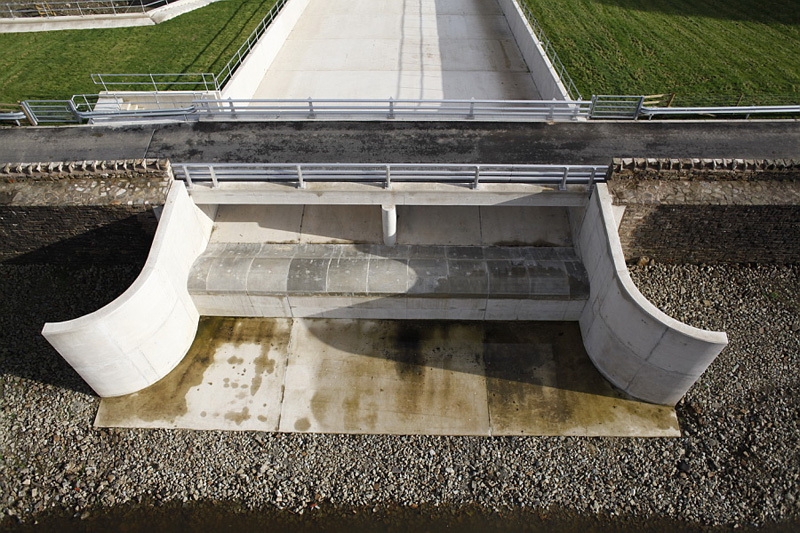 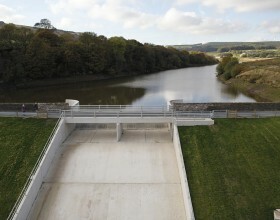 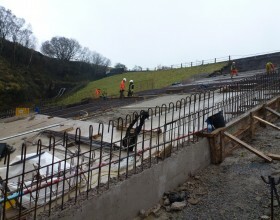 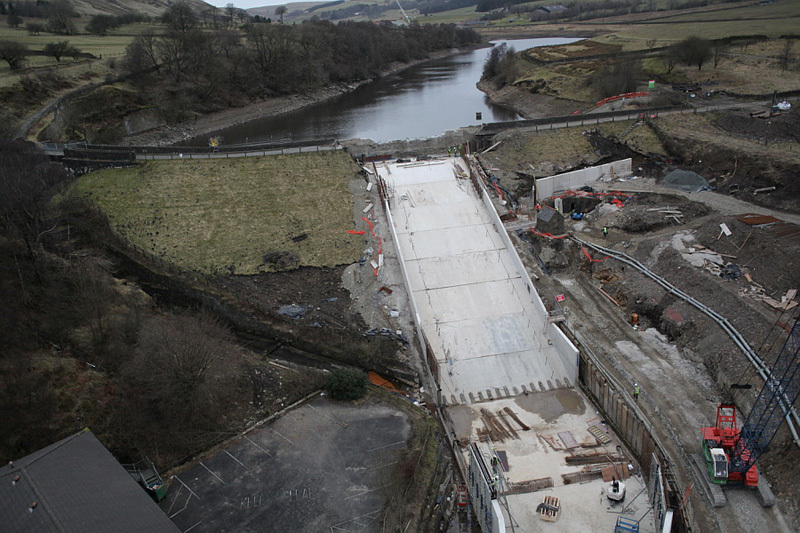 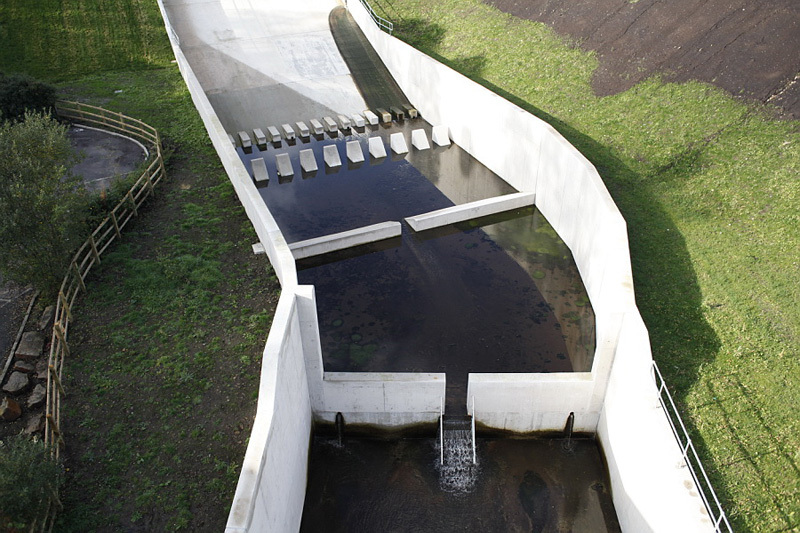 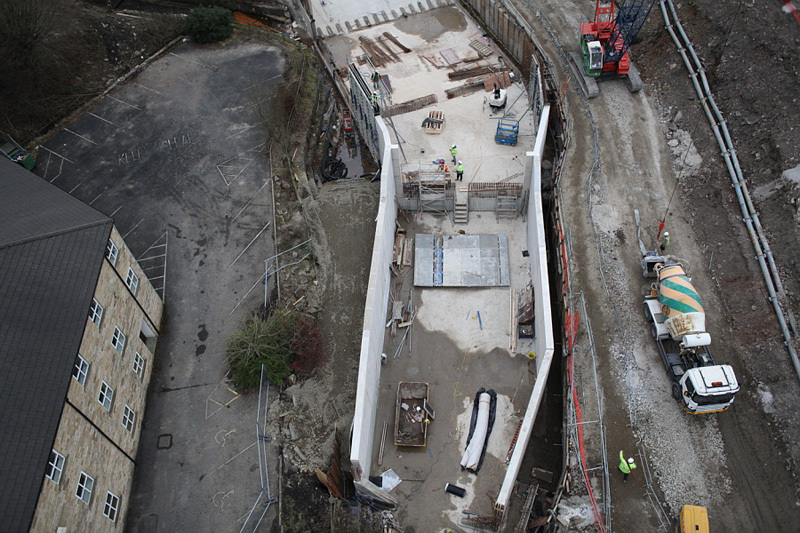 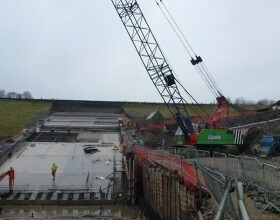 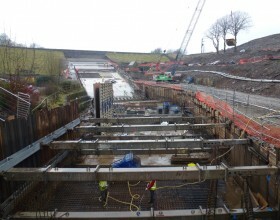 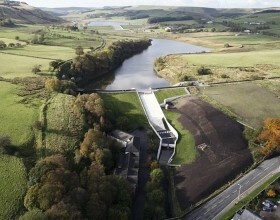 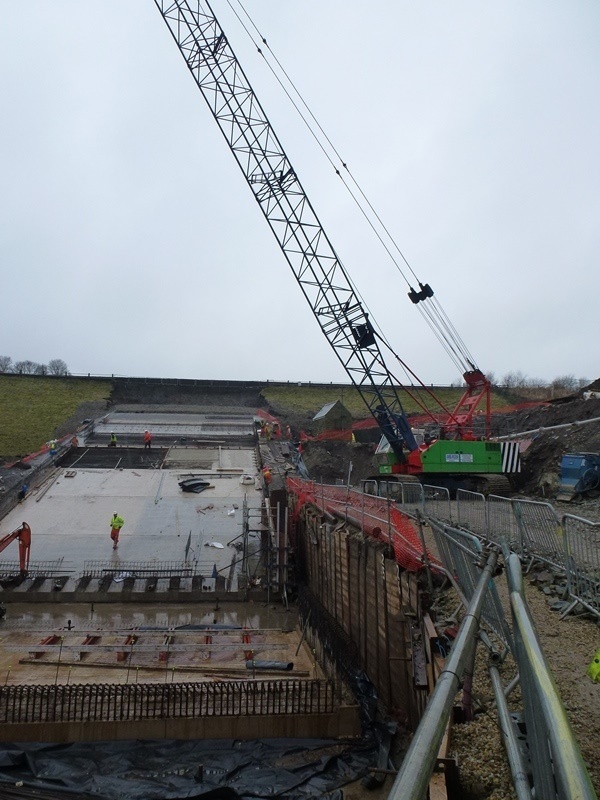 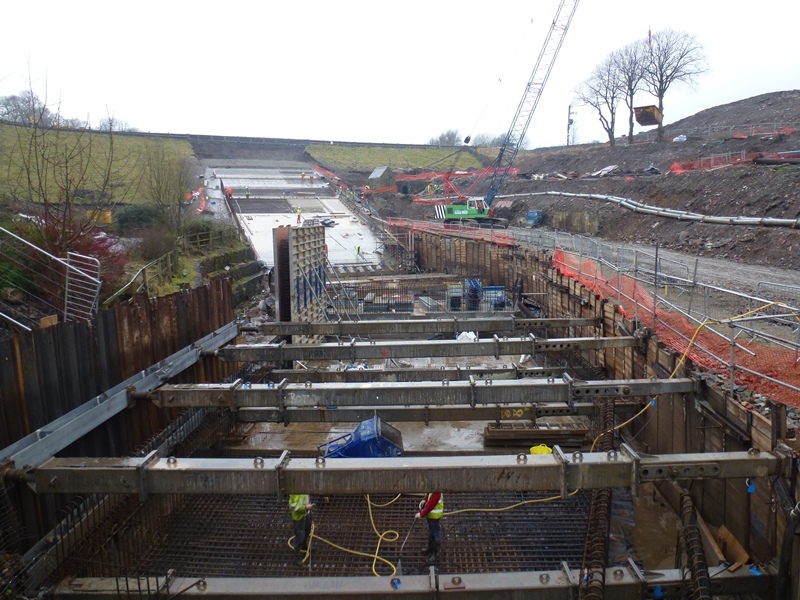 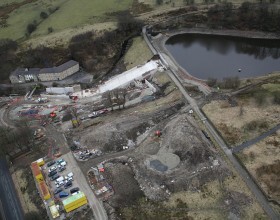 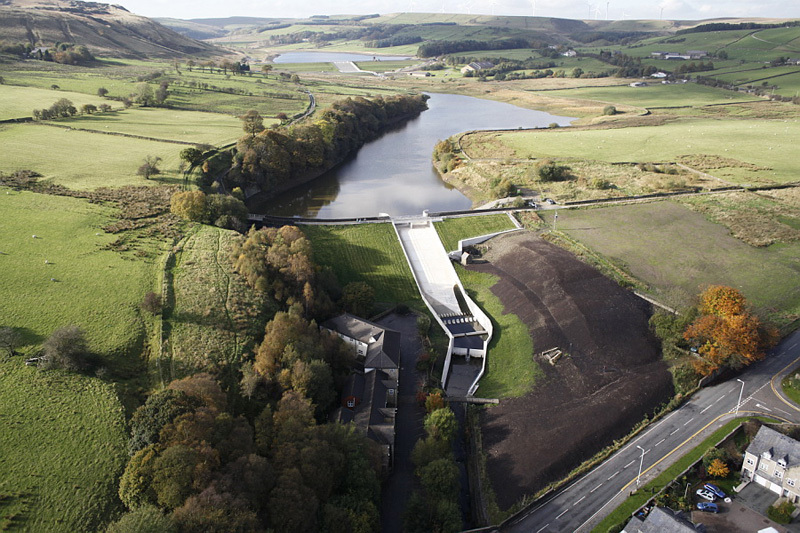 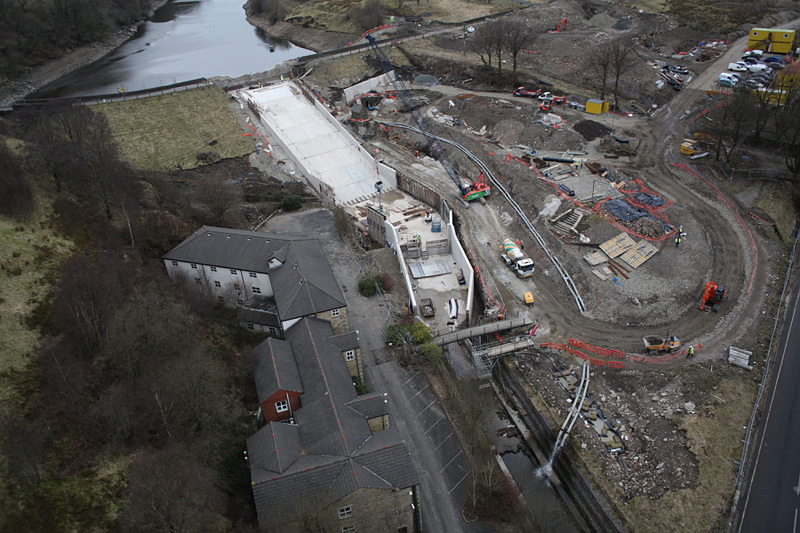 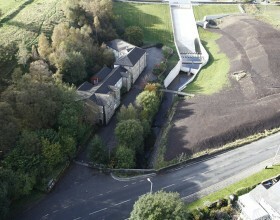 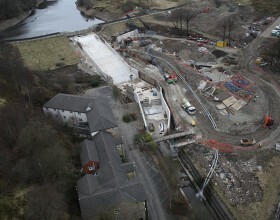 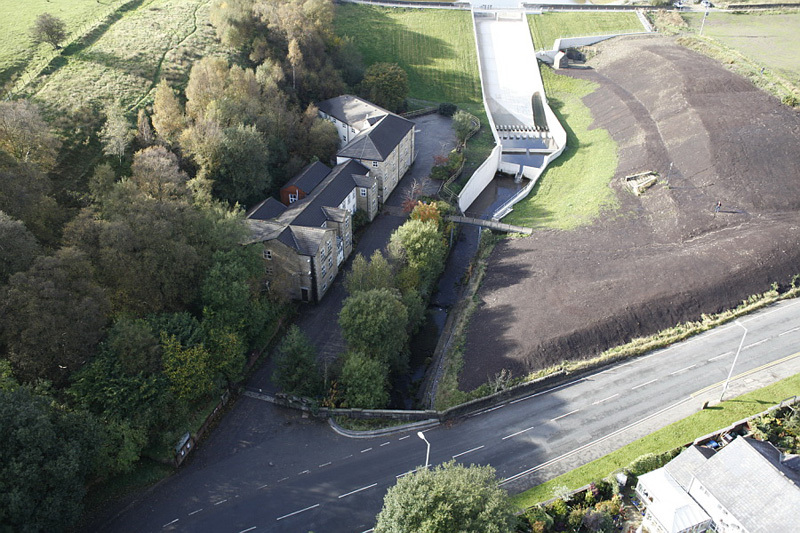 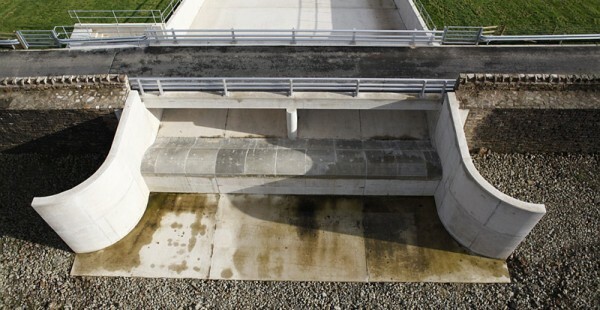 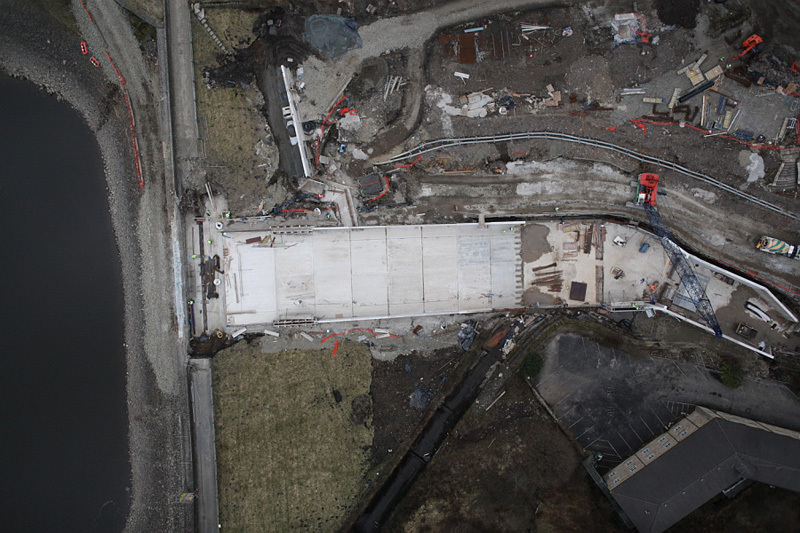 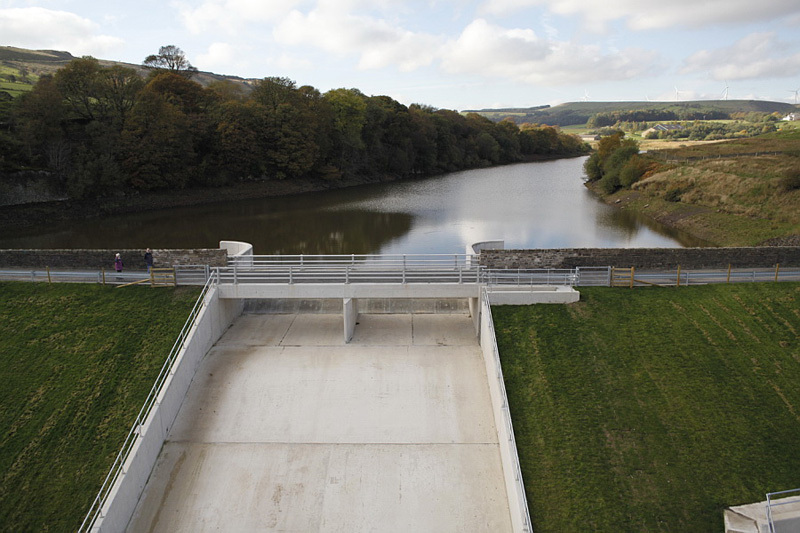 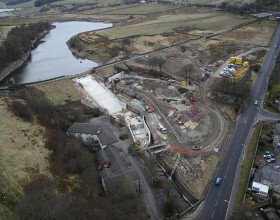 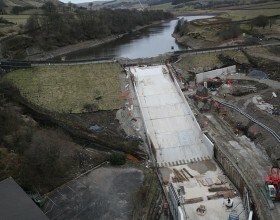 The main purpose of the project was to improve the overflow and spillway facilities at Holden Wood and Ogden Reservoirs allowing PMF flows to be safely routed through the Grane Valley cascade and return the reservoirs to their normal operating levels. 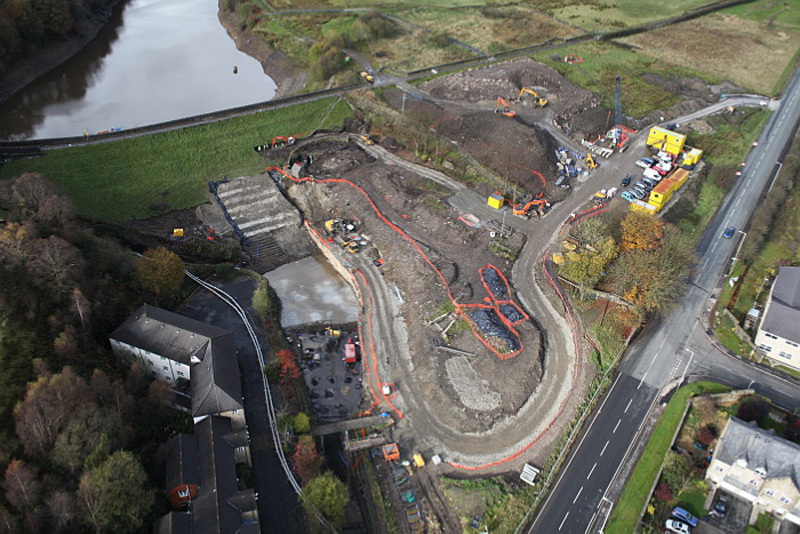 PaSCoE were commissioned by Eric Wright Civil Engineering to provide both permanent and temporary works designs including. 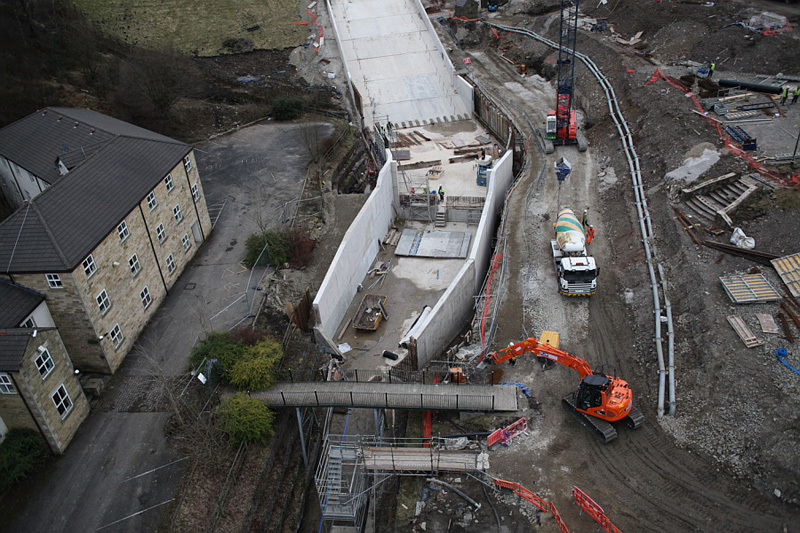 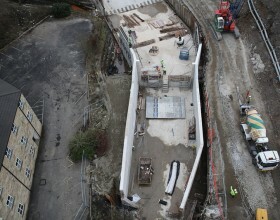 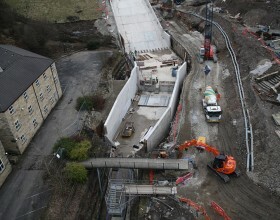 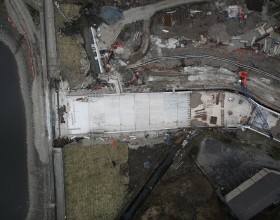 -15.0m Reinforced concrete crest bridge. 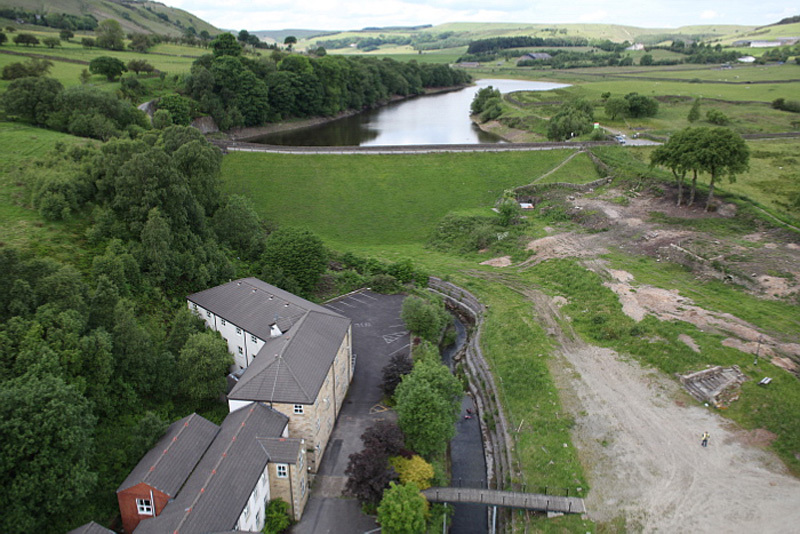 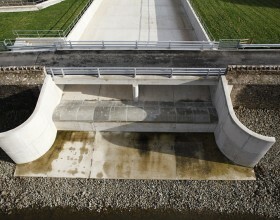 -Dam stability assessments for plant access on crest track and dam face. 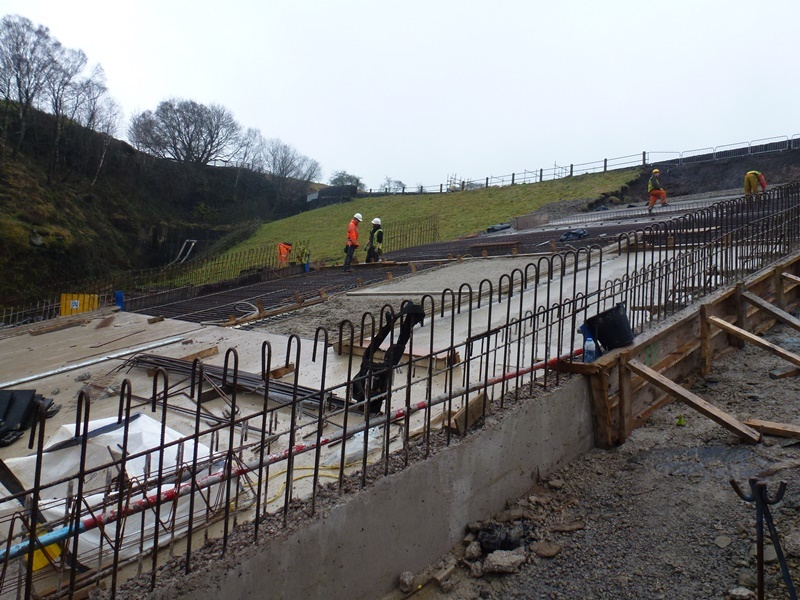 -Reinforced concrete protection slab design.